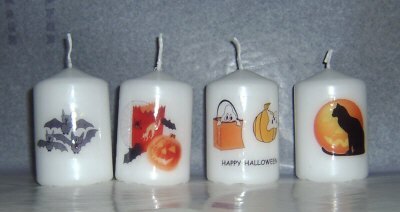 Pillar candle with Halloween design. Burn time 30 hours. Wrapped with orange or black ribbon. Overall size aprox 80 x 50 mm. 4 designs available. For other sizes please see our customized candle section where you have any image and wording you like on candles right up to 24 Inches tall.